Fast professional service. A+ !! Rob Farish was very informative. He was patient with me and he understood what I was trying to do. Very knowledgeable of the Mercedes I purchased! Thank you Bro! I purchased a Silverado from Rob Farish last week. He was awesome and the best salesman ive ever had. Give Rob a holler. He is the most knowledgeable salesman ive had and Id call him a friend as well. Great place to shop for a quality car for a great price. Cornelius Sanders was an awesome salesman. No pressure, just helpful and listened to what we wanted in our purchase. A true professional and Charleston native. A definite plus for this Charleston native. 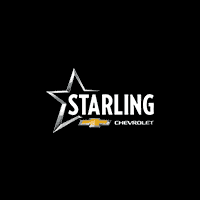 Sent a good friend of mine to Starling Chevrolet because Mike Blume took care of me with my last vehicle. My buddy was coming into town when his Transmission on his H3 Hummer was having issues . Mr Blume , G , Amelia I’m sure there are others, all took great care of him. He’s had some wrong deals in the past but this time he felt comfortable and felt like family. Thank you guys for going above and beyond ! I know for a fact you have a customer for life. I wrote review about this dealership about a month ago. I have to take back what I said. The GM Mr. McDonald pulled through helping us finish what was promised at the sale. Amelia is a fantastic salesperson, if you are shopping for a vehicle I highly recommend her. Amelia literally jump through hoops for us and made the shopping experience fun and different in a good way. Very personal people working at this dealership everyone was willing to help. Great selection, Patient team. On the sales side rob farish made the process quick and easy and followed up throughout the process.